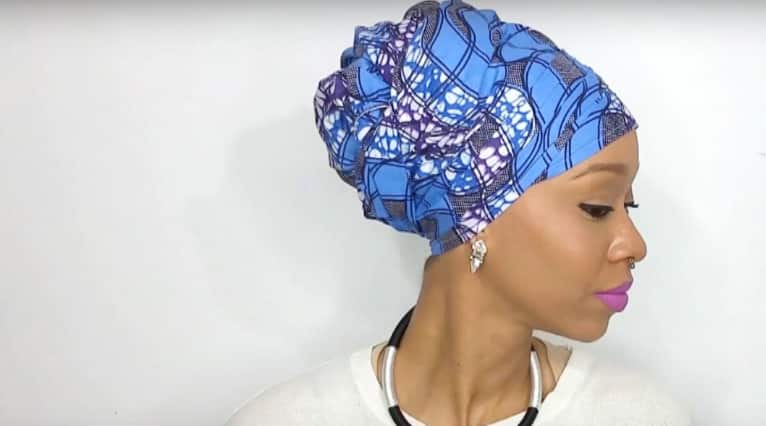 How many ways to tie ankara scarf do you know? 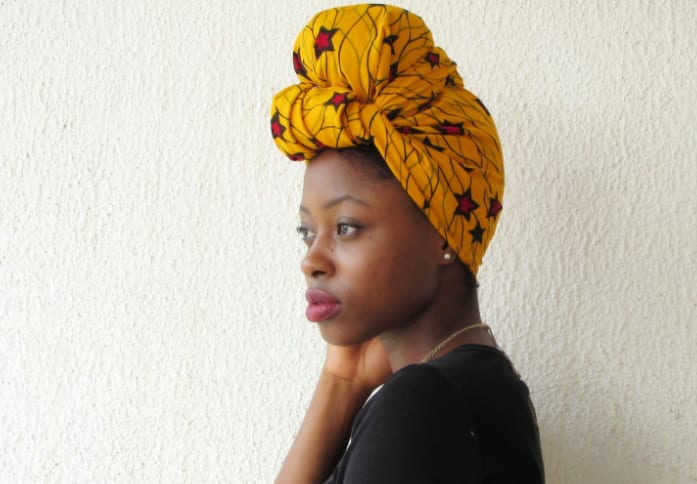 An ankara scarf is a thing that can serve multiple purposes. 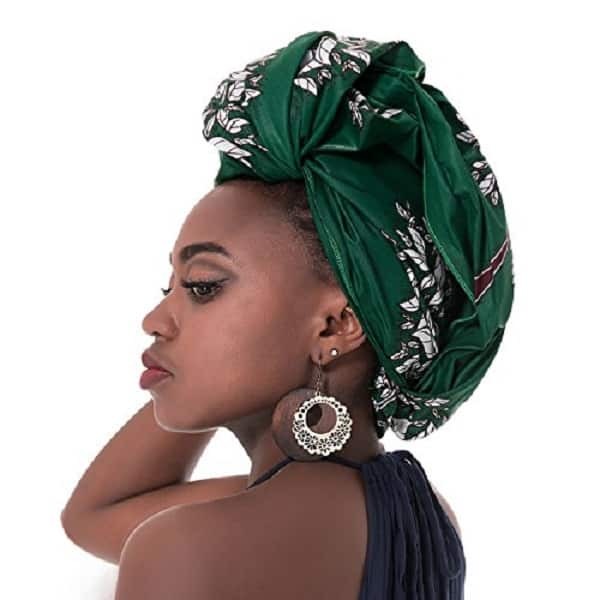 You can wear it on your neck or shoulders, or you can use it as a headgear that looks elegant, lovely and very stylish. 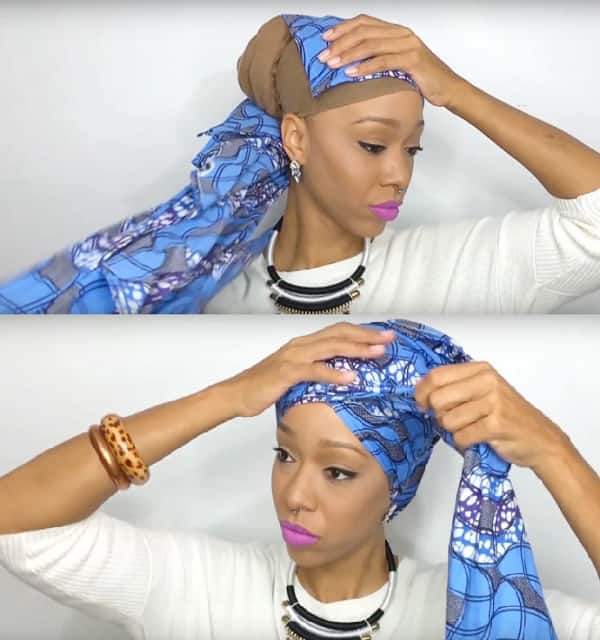 Below, you will find three easy but very beautiful ways to tie an Ankara scarf. 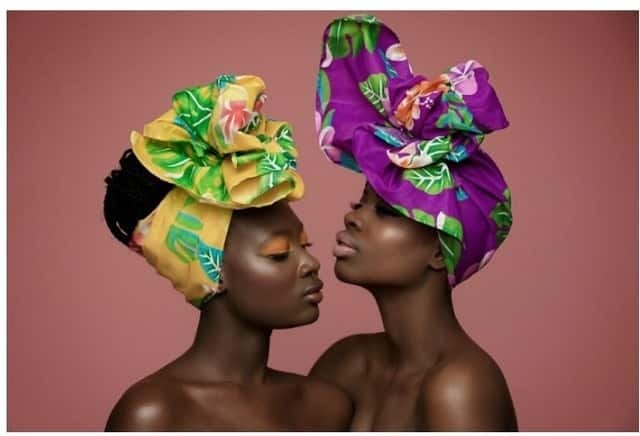 Many women use their ankara scarves as fashion accessories, which are meant to add a bright colorful accent to their outfits. Others see only a practical purpose of covering the head and hair, protection from the elements or, instead, protection of something like food from falling hair and so on. Everything depends on the situation and sometimes you may resort to both these points of view. However, even if you use the scarf only as a kind of protection, it doesn’t mean that it should not be beautiful. Check out the styles described below and see how simple and, at the same time, lovely such a thing can be. This is an elegant and lovely style that looks rather vintage but very feminine. It looks great on practically all heads and matches practically all face types. 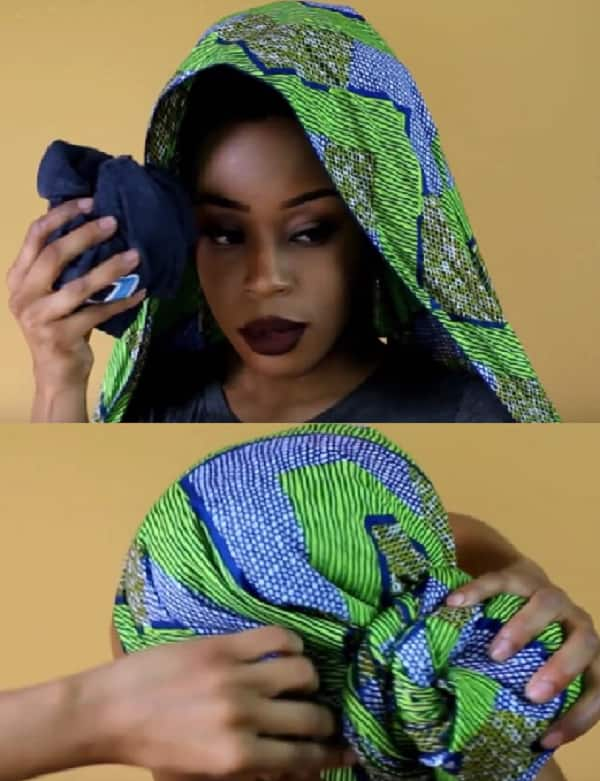 You can use this wrapping technique for both formal and informal wearing. This scarf wrapping style is rather modest, especially compared to the previous style. However, it’s quite modern and, on many women, it looks really elegant and hot at the same time. This style looks simple but very elegant. A lot will depend on the colors and patterns used on the scarf. This headgear is very authentic and sometimes quite big fake buns can make the style much more impressive and eye-catching. 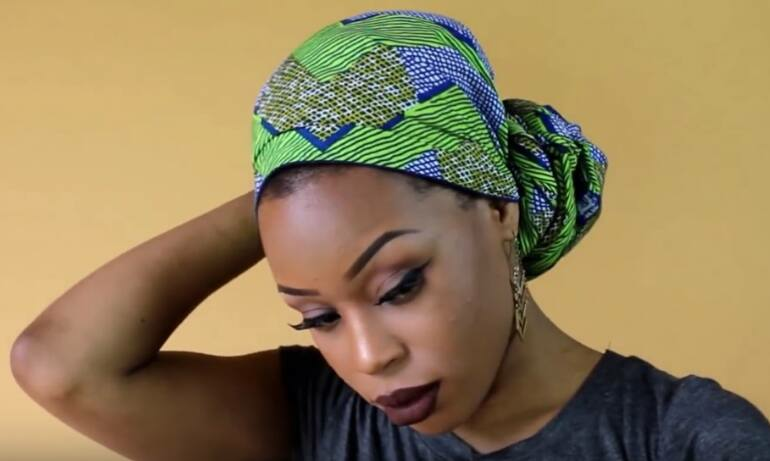 Please, feel free to use these basic but stylish ways to tie ankara scarf to create something interesting with the help of your imagination, taste, and the sense of beauty.